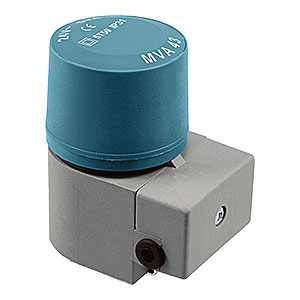 Intec MVA Globe Valve Actuator with On/Off or Pulse Width Modulating (PWM) input signal. Electro-thermal, bidirectional, noiseless and zone globe. 24 VAC. With fail-safe control. Compact size. 2-wire connection. UL94-HB Enclosure. NEMA2. IP31. CE Listed. Electro-thermal, bidirectional, noiseless, zone globe valve actuators with fail-safe control. Actuators with integrated quick clamp and screw for pop-on coupling on 2-way or 3-way zone globe valves for fan coil units, reheat of VAV/VVT boxes, base boards, and other AC units. 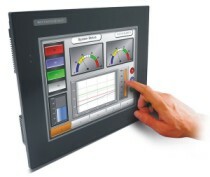 Can be controlled by any compatible electric or electronic analog controller, DDC/PLC control or automation system. Running time Actuator cold start (powered up to 1st movement): 120 sec. Full stroke opening (stem down): 180 sec. Full stroke closing, spring return (stem up): 480 sec.